Liferay Portal includes a workflow engine called Kaleo Designer for Java. Kaleo allows portal administrators to set up workflows for their organization’s needs; the workflow calls users to participate in processes designed for them. Kaleo workflows, called process definitions, are essentially XML documents. Kaleo supports a host of XML element types to trigger decisive actions in your business process instances. You can fine tune the logic of your process definition by incorporating scripts and templates. The Kaleo Forms EE app from Marketplace includes Liferay’s Kaleo Workflow Designer that lets you create and modify portal workflows in your browser. With Kaleo Designer for Java, you can design and publish Kaleo workflows from Liferay Developer Studio! Figure 10.17: Kaleo Designer for Java gives you a powerful environment for designing, modifying, and publishing Kaleo workflows. With Kaleo Designer for Java, you can remotely add and update workflow definitions directly to and from your Liferay server. You can publish your workflow drafts to your portal by simply dragging the workflow file onto your portal server in Developer Studio’s Servers tab. The Servers tab shows workflows you’ve published from studio and gives you access to workflows already published on the portal server. You can edit existing workflows and create custom business logic in Developer Studio locally, then republish them on your portal; you don’t have to navigate back and forth from your portal and Developer Studio to complete these tasks. As you can see, Kaleo Designer for Java is a powerful application for creating, modifying, and publishing workflows in Liferay Developer Studio. Note: The Kaleo Forms EE app comes with an existing workflow designer that’s used within Liferay Portal. It’s used to design workflow configuration and is described in the Kaleo Forms: Defining Business Processes chapter of Using Liferay Portal. Refer to the Using Workflow chapter of Using Liferay Portal if you’re unfamiliar with basic Kaleo workflow concepts or want to know how to design your workflow within Liferay Portal. To use Kaleo Designer for Java, install the Kaleo Forms EE app from Liferay Marketplace. The app includes three plugins–kaleo-forms-portlet, kaleo-designer-portlet, and kaleo-web plugins. Click on EE Marketplace in the left navigation area. Download and install the Kaleo Forms EE app. After downloading and installing the Kaleo Forms EE application, restart the Liferay Server and a Kaleo Workflows folder automatically appears underneath the server instance in the Servers view of Developer Studio. Figure 10.18: In Studio’s Servers view, your server’s Kaleo Workflows folder shows workflows published on your portal. Developer Studio retrieves all workflow definitions published on your portal server. As mentioned previously, the Kaleo Designer for Java lets you remotely add and update Kaleo workflow definitions directly to and from the portal server. The Single Approver workflow comes already installed with the Kaleo app. 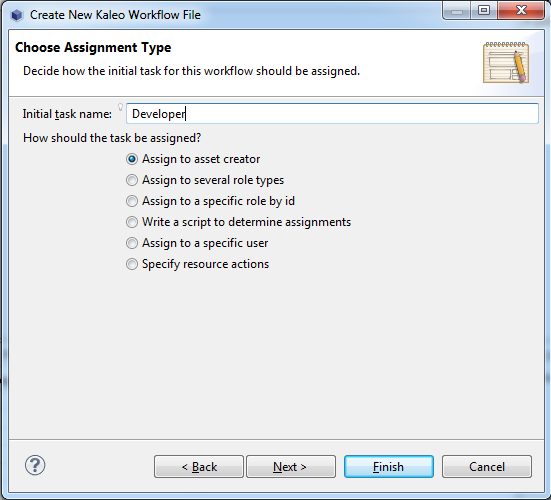 To open a workflow, double click it in the Kaleo Workflows folder. This retrieves the workflow definition from the Liferay server so you can edit it in Developer Studio. Note: When you open a workflow, you’ll be prompted to choose whether to switch to the Kaleo designer perspective. Clicking Yes lets you use the perspective’s helpful features, including the palette toolbar, properties view, and outline view. Next, let’s get into the flow (pun intended) by creating our own workflow using the Kaleo Workflow Designer for Java. Developer Studio makes it easy for you to write custom business logic that enhances Kaleo workflows. Let’s create our own workflow in Developer Studio and highlight features from Kaleo Designer for Java (Designer) along the way. To demonstrate Designer’s features, let’s create a workflow definition for a software ticketing process. Are you ready to roll? Let’s get started! 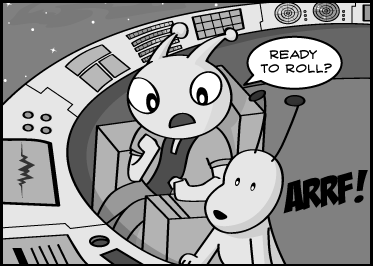 Figure 10.19: Check out the adventures of Liferay’s mascots, Ray and Alloy, found at http://www.liferay.com/ray. 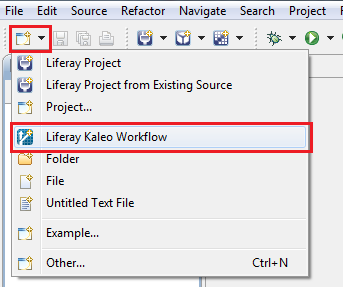 Create your new workflow definition by going to File → New → Liferay Kaleo Workflow. 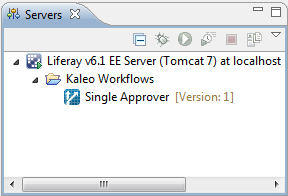 Alternatively, you can select Liferay Kaleo Workflow from the toolbar button shown in the figure below. Figure 10.20: Create a new workflow definition locally by selecting Liferay Kaleo Workflow from the toolbar button. The Create New Kaleo Workflow File wizard will guide you through the steps necessary to complete the initial setup of your new workflow definition. Project: Specify an existing Liferay project to house your workflow definition. Folder: Specify where in the project the workflow definition XML file will be stored. Name: Give your workflow definition a descriptive name. We’ve chosen Ticket Process for our example. Initial state name and Final state name: Name your workflow’s initial and final state nodes. Default script type: Choose a default script type; Designer will bring its editor up when you’re done creating the workflow. Default template type: Choose a default template editor; Designer will open it when you’re done creating the workflow. The snapshot below displays the setup menu for our ticket process workflow definition. When you’re finished in this window click Next. You’ll be directed to the Choose Assignment Type window next. 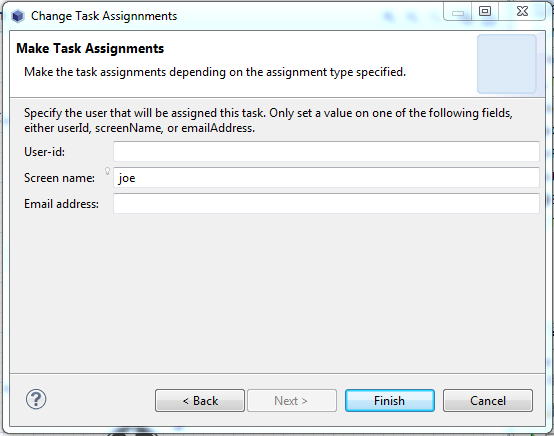 Here you’ll provide an Initial task name, then choose an assignment type from the list of options. For our workflow example, select Assign to asset creator and name the task Developer. When our workflow’s Developer task is invoked, the creator of the workflow’s asset is assigned to it. In Liferay Portal, each Kaleo workflow is associated with an asset type. 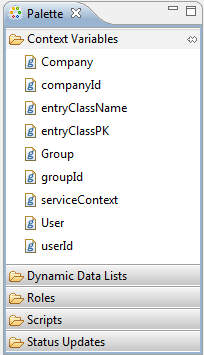 Later in our exercise, we’ll associate our workflow with a Dynamic Data List (DDL). Figure 10.21: When choosing an assignment type for a task node, you are given multiple options. Note: You must specify a Liferay project as a home for the workflow definitions you create. Click Finish to complete the initial setup of our workflow definition. Your workflow appears as a workflow diagram, letting you interact with your workflow graphically. Graphical features and toolbars allow you to customize your workflow definition. The Palette view is one of Designer’s most commonly used tools. Let’s explore it next. The Palette lets you graphically customize your workflow with nodes and transitions. In addition, you can choose different behaviors for your mouse pointer. Figure 10.22: The palette toolbar lets you customize your workflow with additional nodes and transitions. Select: The default pointer setting used for selecting options on the workflow diagram by clicking the icon. Marquee: Used for drawing an invisible selection box around multiple icons. This is useful when you want to manipulate multiple nodes and/or transitions on the workflow diagram. Transitions connect one node to another. On exiting the first node, processing follows the transition to the node it points to. Selecting a Transition turns your pointer into a connector; you connect the starting end of a transition to one node and the other end to the next node in your process. Condition: Directs workflow execution to an appropriate transition based on conditional logic of the node’s script. Fork: Forks the workflow execution into two parallel threads. Join: Joins parallel workflow threads. State: Represents a workflow state. Task: Represents a task that can be assigned. 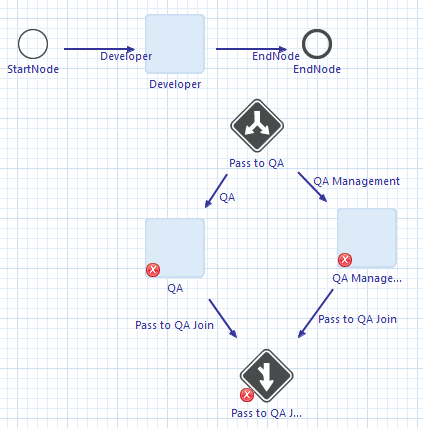 Drag and drop any nodes you need onto your workflow diagram. Each node type supports execution of scripted actions and sending notifications that can use templates. For additional information on the node types, refer to the Kaleo Designer section of Using Liferay Portal. For our ticket-process-definition workflow diagram, we have a simple StartNode State node, followed by the Developer Task node, followed by the EndNode State node. There are two transitions, from StartNode → Developer and from Developer → EndNode. We want a developer to approve his fix and send it for quality assurance to QA, where it must pass testing by a QA engineer. Then it’ll go to QA Management, where it must be approved by a QA manager. Let’s use a Fork node to accurately depict these parallel approval tasks. Drag and drop a Fork node onto your workflow diagram. A wizard helps you create your node. Click the green plus symbol to select new or existing nodes to process in parallel threads. A drop-down menu gives you options to select tasks to be done in your fork threads. In addition, a checkbox lets you indicate whether to automatically add a corresponding join node to your workflow. Figure 10.24: After creating the fork and join nodes, you can reposition them to your liking. Why is there a red “X” in the bottom left of multiple nodes within our workflow? These are error markers! Errors indicate something is specified incorrectly or is missing from your nodes. Hover your pointer over each error marker; Developer Studio displays hints on resolving each problem. Don’t worry, we’ll address these error markers momentarily. Hovering your pointer over a node brings up a floating palette; use it to make quick, convenient customizations to a node. Add (green cross): Add an action or notification on the node. To edit the added action or notification, bring up Designer’s Properties view. Edit Actions (paper with arrow): Edit the node’s existing actions. Edit Notifications (envelope): Edit existing notifications on the node. Edit Script (pencil): Edit the script of the condition node. This feature only applies to the condition node. Change Assignments (person): Assign or reassign a task. This feature only applies to the Task node type. Delete (red “X”): Delete the node. Show in Source (paper with folded corner and arrow): Show the node specified as as a model element in the workflow definition’s XML source and switches the main editor to Source mode. Start Transition (black arrow): Change the pointer to transition mode letting you create a workflow transition from the current node to another node. Obviously, there is still work to be done in our workflow definition. We have multiple error markings and the fork and join nodes aren’t connected to anything. Let’s change the assignments for our two new task nodes, QA and QA Management, by clicking the Change Assignments icon from the floating palette for each node. The Choose Assignment Type menu appears for each node, letting you choose their assignment type. After we assign the QA and QA Management task nodes, the error markers disappear. For our ticket process workflow’s QA tasks, let’s assign someone other than the asset creator. Realistically, each of these tasks would be assigned to different site roles. For simplicity, lets assign both the QA and QA Management tasks to the same user. If you have a user in mind, specify that user. Otherwise, create a user named “Joe Bloggs” with screen name “joe”. For the user to receive emails, he must be registered within Liferay Portal. If you haven’t registered Joe Bloggs (“joe”) already, see the Adding users section of Using Liferay Portal for instructions. To configure the user’s email, login to the user’s account and visit Control Panel → Server Administration → Mail for setup options. Select the Change Assignments icon from the floating palette for each QA task node. 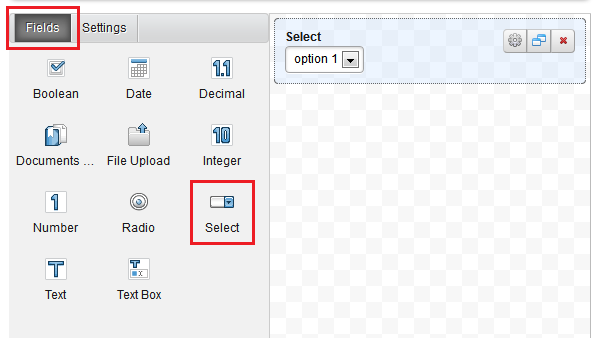 Then, select Assign to a specific user from the Choose Assignment Type menu and click Next. You have options to enter the user’s User-id, Screen name, or Email address. Enter the user’s screen name and click Finish. Figure 10.25: Designer lets you assign a task to a specific user of Liferay Portal. Assigning the QA and QA Management task nodes resolved their error markings (no more red “X”!). The join node’s error marking won’t disappear until you connect the join node to another task. While we’re using Designer’s Workflow Diagram, let’s go over some of its features. 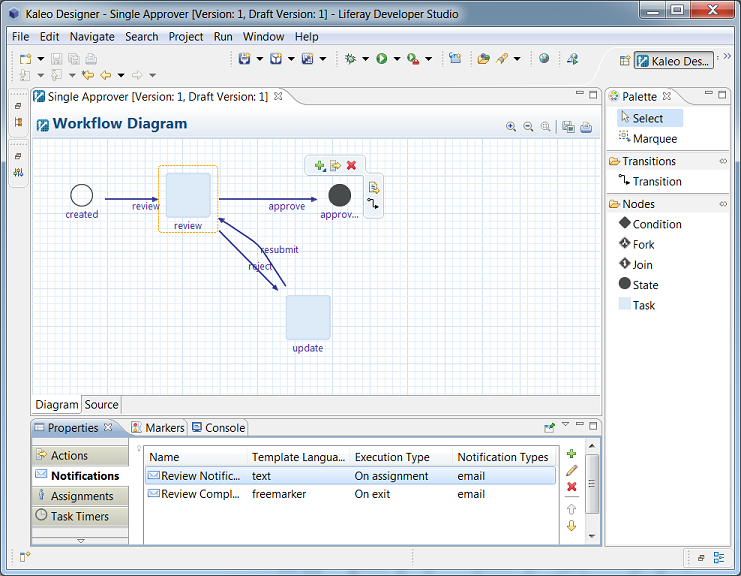 Developer Studio provides you with additional features within the workflow diagram. Below we list some of these features; they can greatly enhance your workflow designing experience. These toolbar icons are shown in the figure below. The Layout feature lets you arrange nodes vertically or horizontally, so it’s easy to organize your workflow quickly without having to touch a node. The Rename feature lets you rename a node or transition; select by double clicking its current name and typing in a new name. The Surveyor’s Level feature helps you center a node, vertically or horizontally, with respect to another node. You’ve probably noticed the Properties and Outline views below your workflow diagram. Let’s explore them next. The Properties and Outline views contain more cool features you can use to customize your workflow; they’re located on the bottom and bottom right of Developer Studio, respectively. The Properties view lets you edit the current node’s properties. If no node is selected or you select the workflow canvas, the Properties view displays your workflow’s general properties; you can edit these, too. Once you click on an individual node, its properties appear. Actions: Execute scripts with respect to your node. Each action has a Name, Script Language, Execution Type, and a Priority (optional). Clicking Edit Script brings up the script in the default editor for the Script Language you specified. Notifications: Notify users with respect to your node. Each notification has a Name, Template Language, Execution Type, and one or more Notification Types. Assignments: Assign tasks to users or roles. Click Change Task Assignments to specify or change the assignment. Task Timers: Name timers for a task and whether the timers are blocking. Each task timer has a Name and Blocking indicator. Script: Edit a script for your condition node. Clicking Edit Script brings up the script in the default editor for the Script Language you specified. Other: Edit miscellaneous properties like Name and Description, applicable to your node’s type. Figure 10.26: The Properties view gives you multiple sub-tabs to help customize your workflow nodes. Workflows frequently become too large to view in entirety on the workflow diagram screen; the Outline view is a huge asset when this happens. It’s a top level view that displays your entire workflow definition, no matter how large it becomes. In addition, it highlights what you’re currently viewing on your Workflow diagram, giving you a picture of where you’re located in the broader picture of your workflow. You can use the Outline view to change your position in the Workflow Diagram by dragging the highlighted box where you’d like to focus. Developer Studio’s Properties and Outline views make customizing your workflow easier than ever! Developer Studio also offers a convenient way to edit your workflow scripts, which is our next topic. You can use Developer Studio to edit workflow scripts; it recognizes multiple script languages, so you can choose one you’re comfortable with. Developer Studio provides you many script editing features so you can quickly implement business logic in your workflows. Let’s dive back into our software ticket workflow definition and create a script. It’s not guaranteed that every ticket submitted has a resolution. If the issue was due to a silly user error, there’s no reason to change the product. In such cases the developer will resolve the ticket and indicate there is no resolution in the product (i.e., no modifications are were made). Regardless, we’ll have the developer fill out an online Dynamic Data List (DDL) form to initiate a workflow for each of her tickets. Once the workflow is invoked, its associated DDL record is accessible from our workflow’s context. Let’s use a condition node to handle the ticket based on the DDL record. To set up the workflow process we described above, we’ll need to add a Condition node and two transitions. 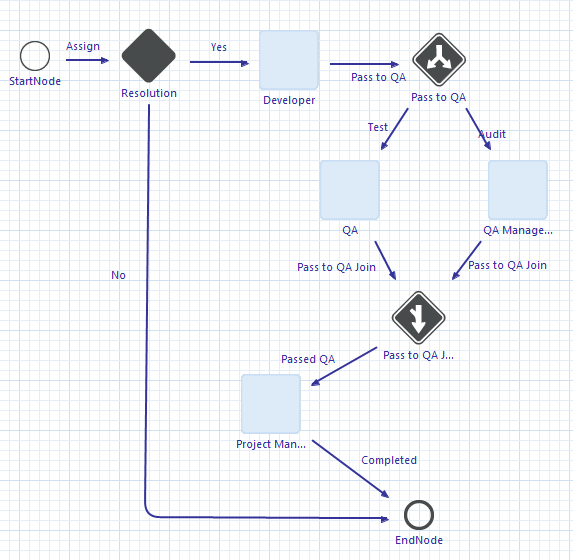 Drag and drop a Condition node onto your workflow diagram. A Create New Condition Node menu should appear. Choose a script language for the condition node. Select Groovy and you’ll see how easy it is to embed Java code. In our Groovy script, we’ll access the DDL record to determine whether the ticket warrants a modification to the product. If it does, we’ll assign it to a developer via the Developer task node. Otherwise we’ll end the workflow by transitioning to the workflow’s EndNode. 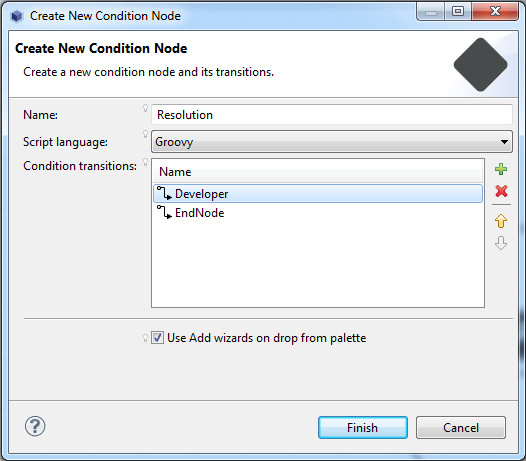 From the Create New Condition Node menu, add two transitions–one to the Developer node and the other to the EndNode state. We’ll add the transition to the Developer node first. Click the green plus sign and select the transition icon from its menu. An entry for the transition appears in the named list of Condition transitions. Click the browse icon in the entry and select the Developer node. Add a transition to the EndNode state in the same manner that added the transition to the Developer node in the previous step. 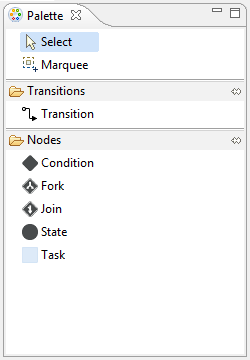 Here’s a snapshot of the Create New Condition Node menu configured for the ticket process workflow. 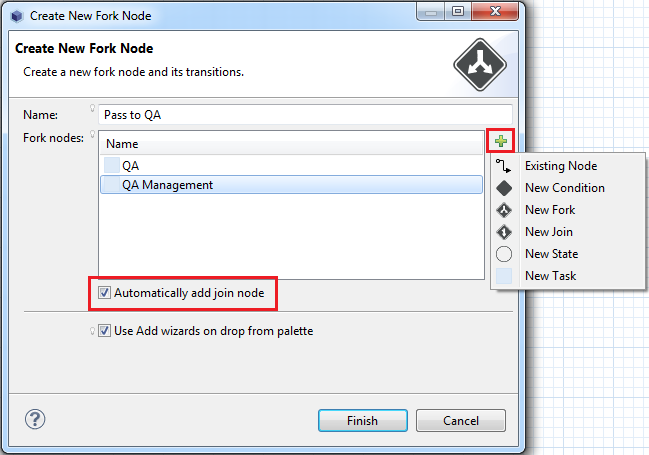 Add a transition from the Developer task node to the Pass To QA fork node. Add a transition from the StartNode state node to the Resolution condition node. Delete the transition that currently connects the StartNode state node to the Developer task node. Click the transition icon from the palette. Your pointer’s icon shows as a plug indicating you are in connector mode. Select a node on your workflow diagram from which the transition will start. A dotted line appears with one end connected to the selected node and the other end following your pointer. Select a node to which the transition will end. The dotted line changes into a fixed ray with the arrow pointing to the transition’s end node. To exit connector mode, hit Escape on your keyboard and click your pointer at empty space in your workflow diagram. You may notice the error marking on the condition node. When you hover over the marking, a hint indicates a script must be specified for the node. Select the node and click Edit Script from the Script tab of the Properties view. Click the Edit Script tool from the node’s floating palette. Right-click the node and select Edit Script. We set our default script language to Groovy, so the Java/Groovy editor appears. To learn more about the Groovy editor, see the Groovy User Guide. If you set the script language to another language, the editor for that specific language appears. The editor runs in the context of editing the specific node you selected. Anything you type in the script editor for this condition node is written inside the <script></script> tags for the <condition/> element that represents our node in our workflow definition’s XML file (in our case, ticket-process-definition.xml). Note: Developer Studio lets you use multiple script editors even while modifying the same workflow definition XML file. You can expand and collapse a folder by clicking its name bar. Drag and drop an entity from your palette onto your Java/Groovy editor and code representing that entity appears in the editor. The inserted code is free of compile errors and warnings because the editor is running in the context of Liferay Portal. All of the Liferay Portal APIs are available to you. In the editor you can invoke code-assist and access built in Kaleo workflow variables. Let’s get the DDL record that’s being worked on in our workflow process. We’ll need the serviceContext entity, under Context Variables in the palette. To learn more about Service Context and its parameters, see the Service Context section of this guide. Drag and drop the serviceContext entity from the Context Variables folder in your palette onto the script editor. This grabs the Service Context. Drag and drop the ddlRecord entity from the Dynamic Data Lists folder in your palette onto the script editor. We get the ddlRecordId from the Service Context and use that ID to look up the DDL record via Liferay service utility DDLRecordLocalServiceUtil. We’re pulling out the status from the DDL record and returning a value indicating “Yes” to continue fixing the ticket issue or “No” to transition to the workflow’s end state. Now the script accurately implements the condition logic we want. As a reminder, all of the code was injected into our workflow’s XML file within the <condition/> element that represents our condition node. Note: Make sure you correctly name the transitions stemming from the condition node. The “No” transition should point to the EndNode, while the “Yes” transition should point to the Developer. If the condition script’s return values don’t match the transition names, the workflow engine won’t know which transition to use. Figure 10.29: The ticket process workflow after inserting the condition node. We need to create a valid DDL record to invoke this workflow properly. If you’re thinking “How do we set up a DDL record?” or “How does this DDL record thingy work?”, you’re on the right track. If you’re jumping up and down screaming “Liferay is da bomb!” We welcome your reaction, too. Regardless, we’ll address DDLs soon in the Configuring a DDL record section of this chapter. Next let’s create a custom notification and write a template for it using a template editor. Designer lets you leverage FreeMarker and Velocity editors to customize templates for your workflow notifications. A FreeMarker editor comes bundled with Developer Studio. To edit Velocity templates, you’ll need to install an editor. Don’t worry, Developer Studio makes it easy, and we’ll show you how. Browse to the downloaded update site zip file and select it. Click OK to close the Add Repository dialog. Expand the added repository and check the Liferay Developer Studio Velocity feature. Click Next to progress through the wizard. After reading and accepting the license agreement, click Finish. Restart Liferay Developer Studio to complete the install. When you edit a notification template set to the Velocity type, the template opens in the Velocity editor (a small “v” icon is in the left side of the editor’s tab). To access the template editors, click on the node of your choice and select the Notifications sub-tab in the Properties view. Create a new notification by clicking the green “plus” symbol. 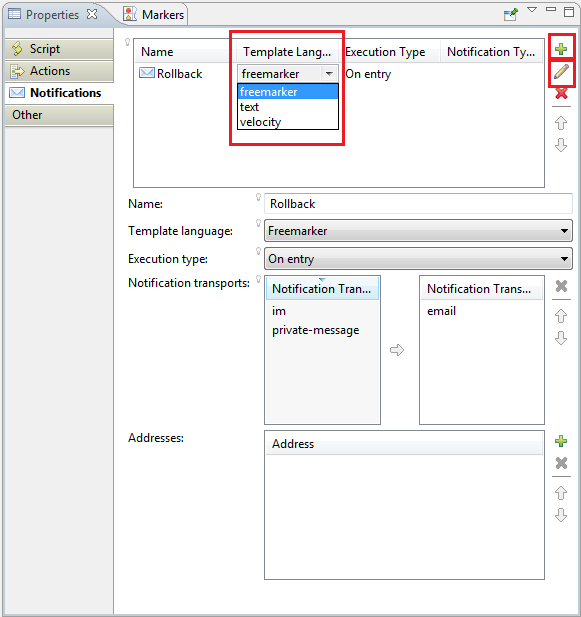 Figure 10.30: When creating a notification, Developer Studio offers several options, like choosing a template language. Click the pencil icon to open the editor associated with your notification’s template language. Like the script editor, the template editor’s Palette view lists entities that you can drag and drop onto your workflow diagram. Because Developer Studio lets you leverage full featured template editors like FreeMarker or Velocity, content-assist is available for you to use right away. For example, if you are using the FreeMarker editor, content-assist suggests FreeMarker functions when you are editing your notification template. In addition, when you’re doing a FreeMarker variable insertion, the editor gives you all the available variables that are a part of the Kaleo workflow. You can visit the documentation pages for FreeMarker and Velocity for more information on the variables and functions available in these template languages. Note: Similar to the bundled script editors, Developer Studio lets you use FreeMarker and Velocity template editors to customize notifications in your workflow definition. Let’s continue editing our ticket process workflow. After completion of the QA task assignments, our Project Management team should be notified. To set up a notification email, we’ll add a new task node that transitions from our join node. This new task node will hold our email notification. Typically, we’d assign this task to a project management role and email it to the project management team’s email alias. For demonstration purposes, we’ll use “Joe Blogs” for both purposes. As mentioned previously, you can specify an existing user that has an email or create a user with screen name “joe” having your email address. This process is similar to how we assigned our previous task nodes. 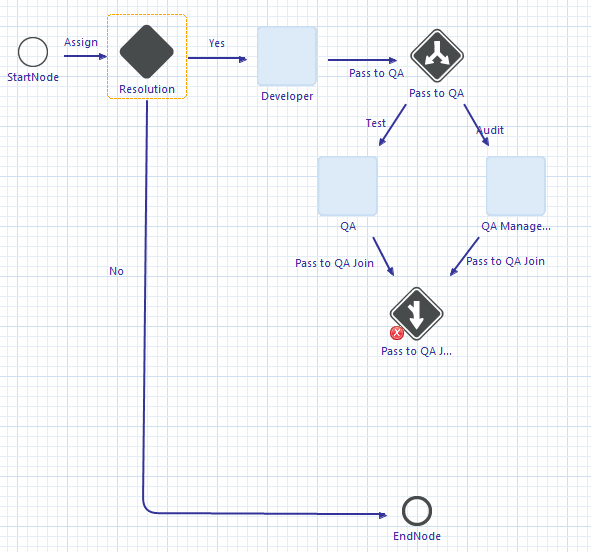 Drag a new Task node onto your workflow diagram. Name the new node Project Management and select Assign to a specific user. Let’s create our email notification for our Project Management task node next. Click on the Project Management node and select Notifications in the Properties window. Click the green “plus” symbol to create a new notification. In the Name text field, enter “ticket process email”. Select FreeMarker from the Template Language drop-down menu. Select On entry from the Execution type drop-down menu. Select email under Notification transports. Now open the FreeMarker template editor by clicking the pencil icon beneath the green “plus” symbol. Insert FreeMarker code into the FreeMarker editor to specify your email notification template. We’ve provided an example email notification code snippet written in FreeMarker. <p> Please review the code waiting for you in your workflow tasks. The snapshot below illustrates what the snippet sends to the configured email recipient. Your email notification is set up! Now, when the Project Management task node is activated in the workflow, the specified user (i.e. joe) will receive the notification email, all dressed up with your FreeMarker template (you might say it’s all dressed up with somewhere to go). With template editors, customizing your notification templates is easier than ever. FreeMarker comes bundled with Developer Studio so it’s obviously the simplest solution, but you can create Velocity templates just as easy by using the Velocity editor you installed. In the next section you’ll see a list of workflow and service context content you can use when creating a customized script or template. A context variable provides a uniform variable to insert into your templates and scripts. 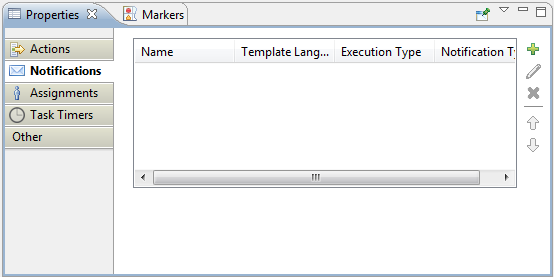 When executed, a context variable is automatically deleted and replaced with the value pertaining to that key. When you create notifications for a workflow, assign Liferay Portal context variables for a cleaner and more efficient process. With context variables, your notifications become more customizable, rather than following the same format for every recipient. The context variables you declare in your notifications refer to your Liferay instance and the values it holds for your declarations. Below you’ll see tables listing numerous context variables and service context content. The context variables are the first table, followed by the service context content for web content, blog entries, and message board messages. We’ve separated service context content from the workflow context variables because service context keys depend on asset type, while context variables don’t. Also, note the asterisks (*); they’re used to flag context variables that depend on workflow activity. Next you’ll learn how to view your workflow definition XML file in Developer Studio. The workflow diagram view of your workflow definition is convenient; sometimes you’ll also want to edit and review your workflow definition’s XML source code. Selecting the Source tab next to the Diagram tab in the main editor view takes you to the XML, and you can easily switch contexts as you need. Figure 10.33: Feel free to switch between Diagram and Source modes of your workflow editor in Kaleo Designer for Java. 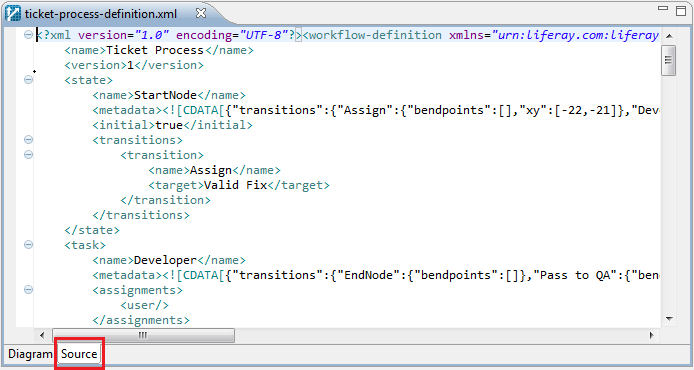 Section Highlighting: Shows XML source code for the node or transition currently selected in the workflow diagram. Click the document icon in an entity’s floating palette or right click the entity and select Show in source. Editor Validation: Displays an error marking in the editor’s gutter if your code is invalid. Click the error marking to see hint for resolving the error. Content Assist: Suggests language specific functions and variables as you edit code. When you’re inserting variables, it also lists all available variables that are a part of the Kaleo workflow. Note: Using Liferay Portal section Creating new workflow definitions explains how to define workflows via XML. With the Source view, you can keep track of your edits while using Developer Studio’s powerful graphical features. Let’s save your workflow definition and publish it to your Liferay server. After you create a new workflow or modify an existing one, you’ll have to publish it onto your Liferay server before your site’s members can use it. Let’s publish the ticket process workflow definition onto your Liferay server. Right-click the Kaleo Workflows folder listed under your Liferay server in the Servers view. Select Upload new workflow… to bring up the workspace files browser. Browse for your workflow definition file and select it for publishing. Alternatively, you can publish your new workflow XML file by dragging it from your Package Explorer view onto your Liferay server in your Servers view. Note: To update your Kaleo Workflows folder with the latest workflow versions created or modified in Liferay Portal using Kaleo Workflow Designer from the Kaleo Forms portlet, right click Kaleo Workflows under your server and select Refresh. You probably understand why it’s necessary to publish new workflow definitions onto the Liferay server; it might be less clear why you need to republish existing workflow definitions that you’ve modified. When you save changes to a workflow, they’re not immediately available in your portal; it’s still using the previous version of the workflow. Developer Studio saves the workflow as a draft, so you can work on multiple iterations of the same version until you’re ready to publish your changes. Once you publish, you now have a new version to make changes on top of. For example, you might be working on Version 1 of your workflow definition; as you make changes, you save them in multiple drafts. When you are finished with all of your changes, you publish the workflow triggering creation of a new version (Version 2) of the workflow. The new version is made available on the server immediately for your workflow administrators to associate with asset publications, DDLs, and with Kaleo Forms. Unlike other Java editors, Developer Studio lets you test your workflow definition as a draft. You can also publish your workflow definition straight to Liferay Portal for quick and easy configuration. Are you ready for our Kaleo Designer for Java finale? You just have to activate the workflow in your Liferay Portal, then we’ll set up the DDL record and try out our new workflow. Let’s activate! Let’s put some finishing touches on your workflow and test drive it in Liferay Portal. Before you can use a workflow definition, it must be activated in your Liferay Portal. Navigate to the Control Panel and select Workflow. Then, in the Definitions tab, click on the Actions button and select Activate. A workflow definition can be associated with publication of an asset or DDL record. Let’s associate our ticket process workflow definition with a DDL record that lets a developer indicate whether she’ll fix a ticket’s issue. You can find detailed instructions for creating a DDL by visiting the section Defining data types in Using Liferay Portal. We’ll demonstrate how easy it is. Let’s associate our workflow with a Dynamic Data List (DDL) record. To learn more about DDLs, visit Using Web Forms and Dynamic Data Lists in Using Liferay Portal. First we’ll create a data definition that lets the user select a status value. In Liferay Portal, go to Control Panel → Dynamic Data Lists. Click the Manage Data Definitions link, then Add a new data definition. In the Fields tab, drag and drop the Select field onto the canvas. Figure 10.34: Creating data definitions for your DDL is a snap with Liferay’s graphical drag and drop interface. In the Settings tab, double click the Name property to open the property editor–enter status as the value. Edit the Options setting; give your status field option values of fix with label “Fix” and not with label “Do not fix”. In our code, the getField() method ingests the value of our DDL field named “status”. When the script is invoked, if the value for the status field is not, the value No is returned and our workflow transitions to our EndNode state. Otherwise, the workflow transitions to our Developer task node. After you create the data definition, make sure you select the ticket process workflow for our new Kaleo Forms process to use. Save the DDL. Now our DDL is set for use inside our ticket process workflow! Let’s use the Kaleo Forms portlet to test our new workflow definition! Let’s use the Kaleo Forms portlet to invoke our workflow from Liferay Portal. Deploy the Kaleo Forms portlet to your portal and add it to a page on your site. You can learn how to use Kaleo Forms in the Kaleo Forms section of Using Liferay Portal; we’ll demonstrate its use here by using it with our ticket process workflow. Create a new Process in Kaleo Forms; name it Ticket Process. Select the status data definition we created earlier. Add an Initial Form based on our status data definition. Select our ticket process workflow. Leave Workflow Task Forms unassigned for our demonstration. 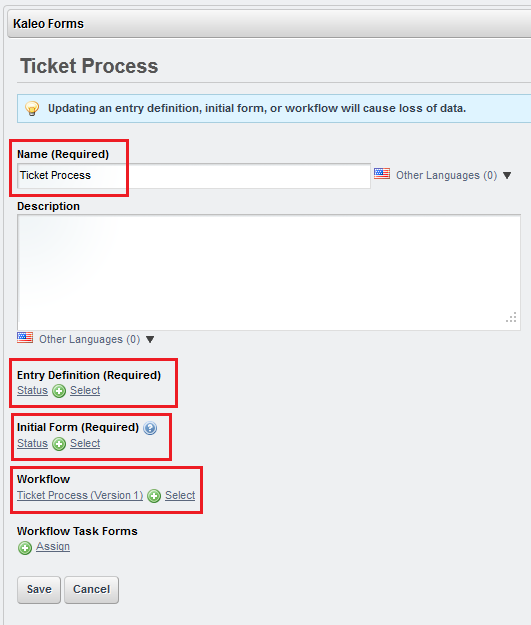 Figure 10.35: To test the ticket process workflow, create a new Kaleo Forms Process–provide a name, entry definition, and workflow. After saving, select the Summary tab in Kaleo Forms, click the Submit New button, and select Ticket Process. Now you can interact with the DDL and progress throughout the ticket process using Kaleo Forms. Remember to sign in as Joe Bloggs to access the tasks assigned to him. Joe Bloggs should also receive an email when the Project Management node is activated. You successfully created a workflow definition and created a workflow process within Liferay Portal! You’re officially a workflow master (you can get your framed certification at the front desk on your way out–tell them we sent you)! Have you noticed that there’s a lot of depth to Liferay IDE? You can easily come across difficult questions and run into very specific problems, but someone else might have already solved your issue or answered your question. So where would you go to find out? Don’t reinvent the wheel, visit the Liferay IDE Community page! On the Forums page, you can look up resolutions to specific errors and ask questions. Be sure to fully describe any problems you have to ensure you get a working answer. You can even track known issues from the Issue Tracker page.